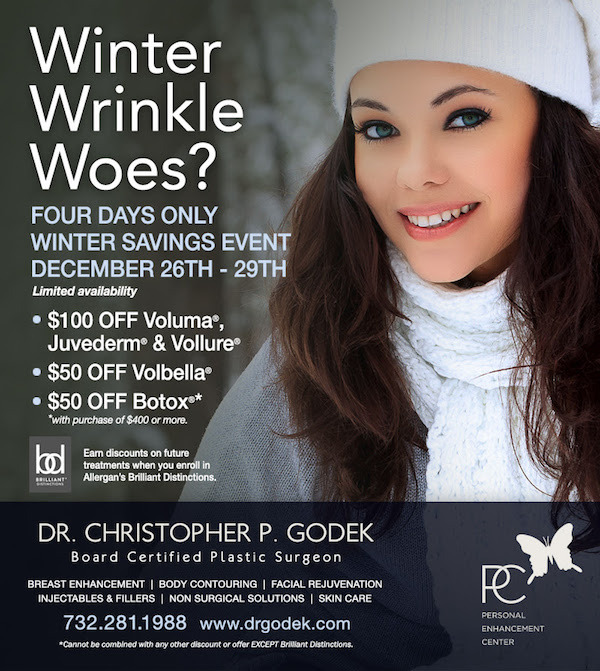 Experiencing winter wrinkle woes? From December 26-29, we are having a winter savings event! Enjoy $100 off Voluma®, Juvederm®, & Vollure®, $50 off Volbella®, and $50 off Botox®. (Botox® discount applies to purchases of $400 or more.) Contact us today to schedule your appointment.